Sean Spicer has never been so popular. Page Six reported Wednesday that Spicer has “been seen coming out of high-level meetings at ABC, NBC, CBS and Fox News in Manhattan.” That ABC one wasn’t for David Muir’s benefit, however — it was apparently for Tom Bergeron’s. 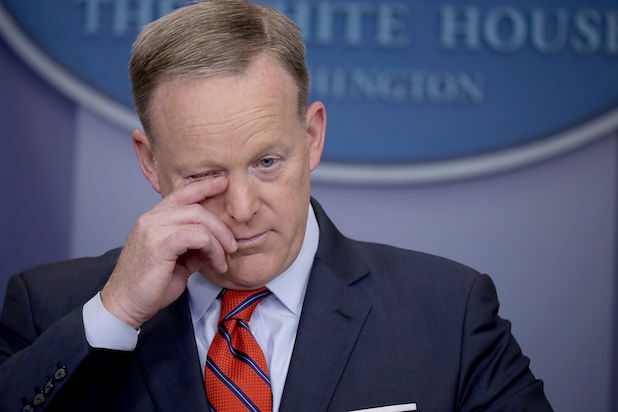 Spicer stepped down from his post within the Trump Administration following last week’s hiring of Anthony Scaramucci, a Wall Street guy-turned-White House Communications Director. 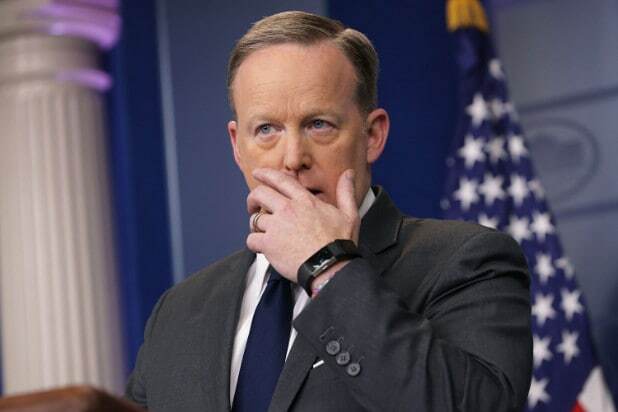 Before his resignation, however, the man referred to as “Spicey” provided plenty of fodder to TV’s late-night hosts, as well as multiple opportunities for some pitch-perfect “SNL” lampooning courtesy of Melissa McCarthy.